How Many Hair Transplant Grafts Are Needed? Every patient wants to know how many grafts are needed to cover the area that he or she needs covering. Often patients come to Dr. Behnam and say I sent my picture to Dr. xxxx and he said I need 2000 grafts why do you say I only need 1000. The answer is in the examination. There are some very experienced doctors who can look at a person’s head and know from experience what is needed. Unfortunately there are also other doctors who give patients extremely high estimates. We promise that the numbers we give will be based on measurements and calculations. The area that needs hair will be measured in square centimeters. If the patient has hair in the area, an average of how many grafts are in the area will be calculated to give the number of grafts that will fit in the thinning area without damaging the existing hair. This is carefully done by Dr. Behnam with a magnifier so the patient is clear on the amount of grafts that will be needed. 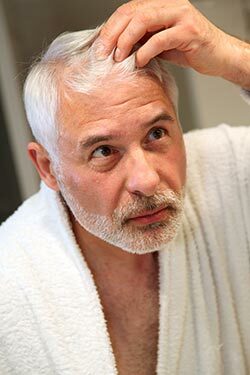 If the area is completely bald, Dr. Behnam measures how many square centimeters need to be filled and calculates the number of grafts based on the thickness of the patient’s hair strands. Patients who have thick course hair strands will need less grafts per square centimeter then a patient a patient who has really fine hair. It is important for every patient to know that doctors should not implant grafts without trying to avoid the healthy existing hair. It makes no sense to place a new graft on top of a healthy hair or so close to it that it infringes on the blood supply of the healthy hair. 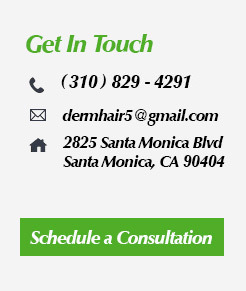 This is why Dr. Behnam will not perform a procedure on anyone who has not lost enough hair to have room for new hair. Patients who look into getting a hair transplant at the first sign of thinning often don’t realize that having a transplant prematurely could do more harm than good. A transplant done before there is room could actually cause more hair loss so when the transplanted grafts grow the hair will not be thicker and could actually be thinner. For patients who are having thinning Dr. Behnam would rather see a patient use medication rather than get a hair transplant prematurely. That is why the hair loss exam is crucial to finding the best remedy for each patient. Patients who live out of state or out of the country may email pictures or have a facetime or skype consultation. With today’s technology, Dr. Behnam can get a good idea of who is a good candidate and who isn’t. That being said, obviously he cannot make the same calculations that he can in person. In those cases, he gives a very conservative estimate. If it is unclear if the patient is a good candidate, he will monitor the patient’s hair loss by contacting the patient every few months to track what has changed in the patient’s hair loss pattern. This keeps the patient from traveling before it is time to have a procedure.